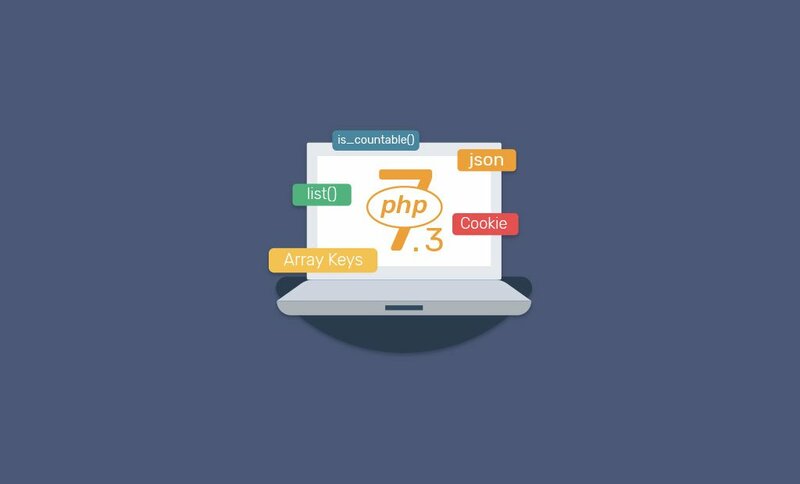 Our constant dedication delivering at your fingertips the latest and most stable PHP versions and other features as soon as we can, after rigorously testing it throughout our hosting environment goes without saying. 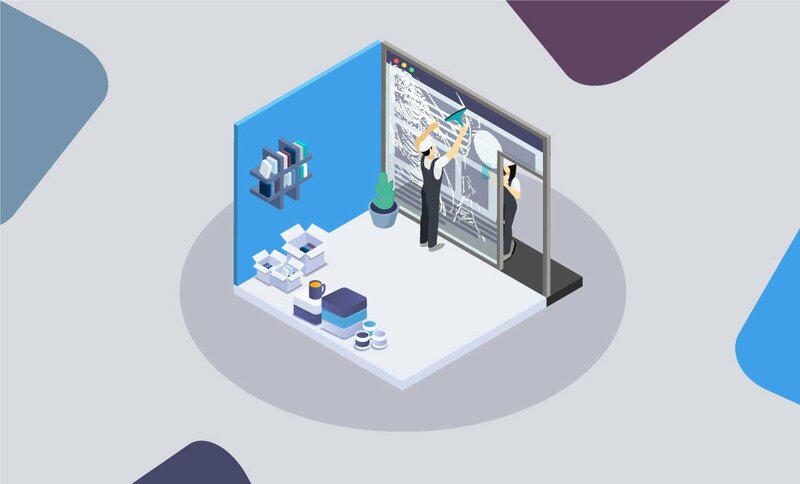 This way, we provide customers the opportunity to take advantage of all innovations and useful features that would make their site much more optimized and secure. Adding the newest version of the scripting language (7.3) to our servers is another step we do to provide a stable and well-functioning online environment for our customers. Version 7.3.0 of the scripting language was released for GA (General Availability) on December 6th, 2018 and has been turning heads ever since it got delivered. From January 2019, this version is also available to all FastComet customers and can easily be selected via the FastComet PHP Selector. For those that sit tight in waiting for a point release or two preceding updating to another PHP version on their development box or web server, 7.3.1 is also out as the first bug-fix version since last the big 7.3 release a month ago. It looks like the newest version of scripting language offers loads of fresh useful features, deprecations, essential security measures and a fair amount of bug fixes. The 7.3 release is all about improved developer experience. If you haven’t read much on version 7.3 yet, here is a short synopsis of the currently introduced updates that have significantly enhanced PHP performance if we compare it to previous versions. Flexible Heredoc and Nowdoc syntax – Grants the addition of long strings without any need of adding newline characters. This makes the whole code fundamentally easier to read and understand. This functionality was also available in previous versions of PHP but is now much easier to implement. JSON_THROW_ON_ERROR flag for json_encode() and json_decode() – This new feature provides a new, long-awaited method for handling JSON errors. So far, developers have been finding it difficult to make a mistake because they were not notified of it. With 7.3, there will be a change in the way these errors will be handled. Version 7.3 introduces a brand new flag, JSON_THROW_ON_ERROR, which instructs both json_decode() and json_encode() JSON functions to throw a JsonException special case, which bundles the error code and message together in a precise way. The rough outline of the 7.3 release cycle is indicated in the PHP Wiki. You can also get all cut-out-‘n-keep details about version 7.3 by reading the v. 7 changelog on the official site. We received quite a lot of questions lately from our community in regards to the newer PHP 7.3 version and more precisely is it faster than 7.2? And should I use version 7.3 for my WordPress website? 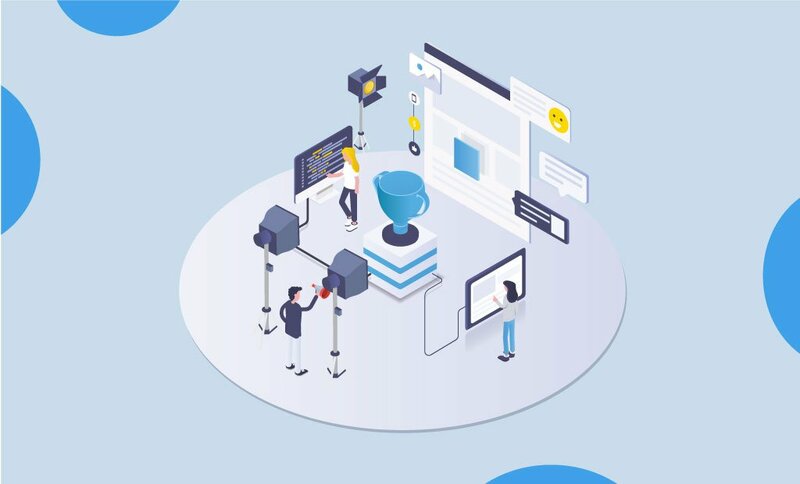 Our primary goal has been and will always be to deliver the fastest performance technically possible, and we ensure that by constantly trying to provide the latest and most significant features to our end users. 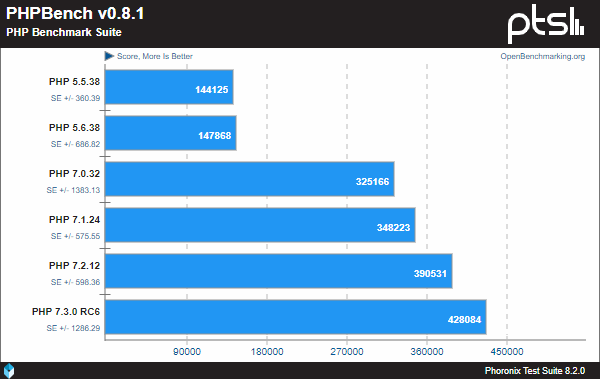 In a true geek fashion, we all here at FastComet love benchmarks. How to Upgrade to PHP 7.3? As always performance shouldn’t come at the expense of convenience for the end user. 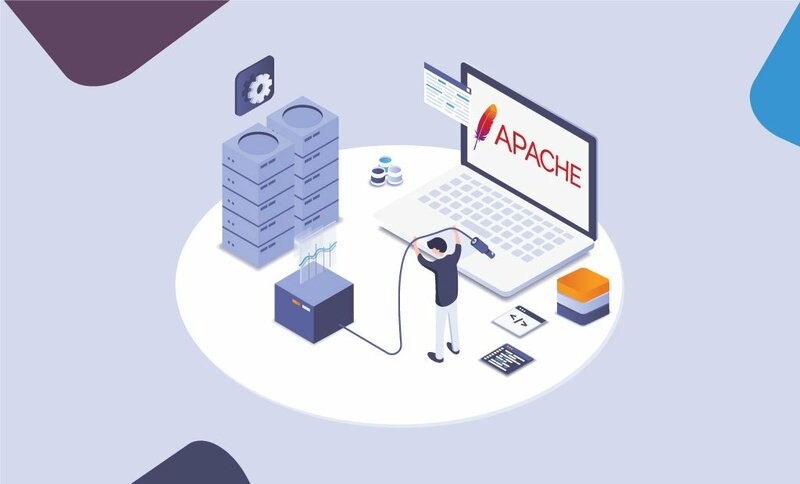 This is why we offer you, our customers, the choice to easily select your desired version from your cPanel with us, and make the migration from 5.6 or any other to the newest version with a few clicks of a button by following our tutorial on changing your PHP version. We have recently ensured that our new users utilize on default PHP 7.2, thanks to the underlying benefits of it. Recommended: When you are doing the switch between different PHP version, consider checking your project compatibility before starting using it. Although you would find that WordPress 5.0 official page recommends version 7.3 of the scripting language, some other applications don’t work on PHP 7.3 yet. Magento 2, Symfony 3.3.6, ownCloud 10.0.10 and others don’t fully support it at the time of writing this article. Moving to the latest version of the scripting language should not harm the site’s work, and any of our clients can do so by following the steps to update the scripting language version or by contacting our Technical Support for further assistance. Is your website still running on 5.6? If that is the case, not only your website is slower than necessary, but it’s probably unsafe as well. PHP 5.6 will not receive any new security updates anymore. So why are you still waiting? The time to get your boost in performance is now. Upgrade your site with version 7.3 today, and get it to perform 10-17% better overall! As part of the Customer Happiness Team, Ivo takes pride in being among the front-liners for FastComet, not only in helping resolve customer issues, but also in helping improve on the service itself. 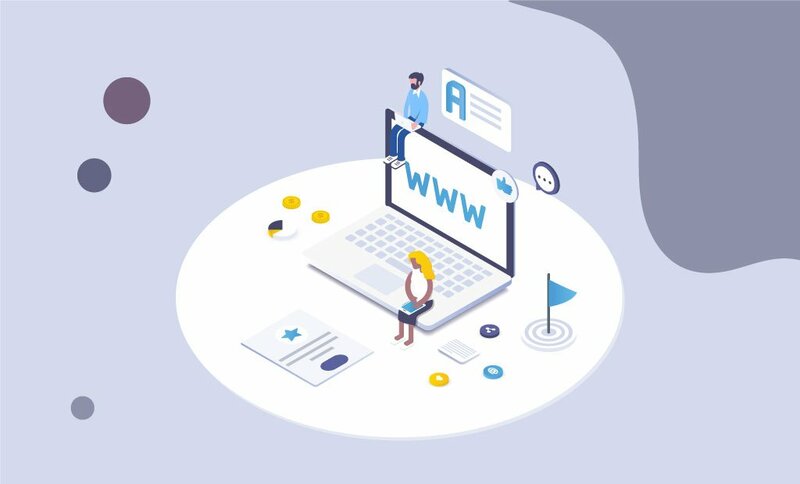 Through the FastComet Blog, he is trying to cover the whole range of information about what you are concerned with and want to know about your site and our services.